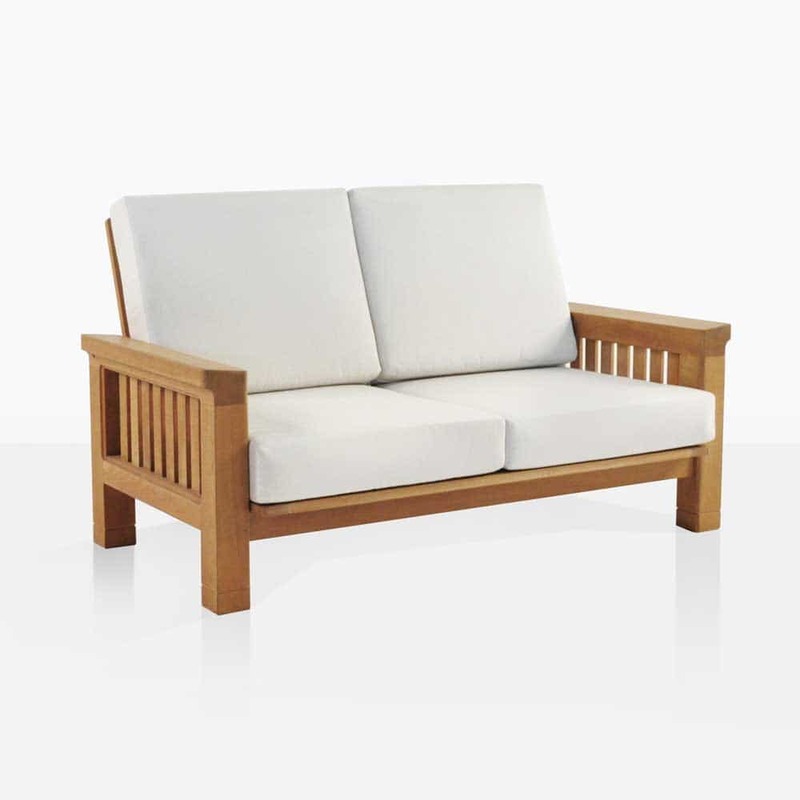 The Outdoor Loveseat in the Raffles teak Outdoor Furniture Collection provides a nice mix of the stature that the collection offers and the medium sizing of a loveseat. 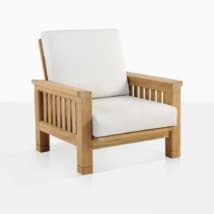 The stout frame and impressively sized Grade-A teak of this piece are on full display under comfortable Sunbrella® cushions that are 6 inches thick. The footprint is not nearly as big as the impression that this relatively simple piece makes. 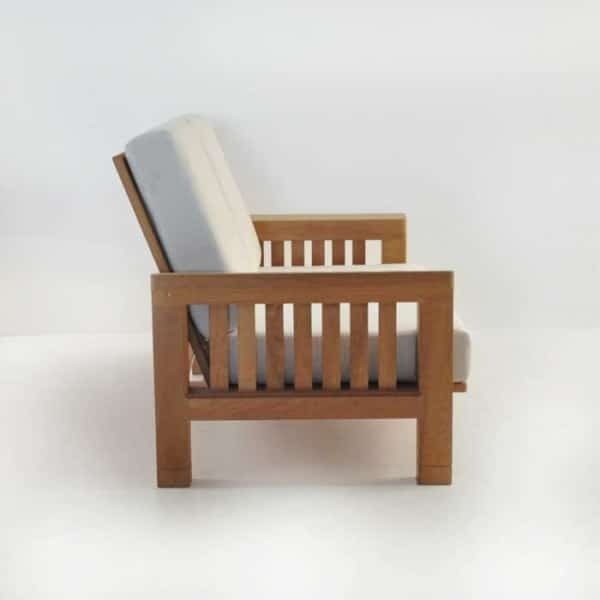 In practice, the pieces in the Raffles Teak Furniture collection are not overtly ornamental, but they make a bold statement with their presence. W61" x D36" x H38"
The vertical surfaces have a unique spacing contrast that blends the thinner teak wood elements into the brawny structure of the loveseat to offer a good mix. 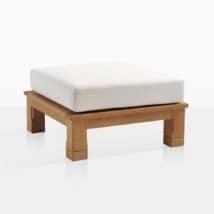 The comfortable cushions are included in the price as shown and offer a good compromise of softness and sturdiness. In terms of the everyday usability of the Raffles Outdoor Loveseat, it’s easy to get up from and sit down on, with the 16 inch seat height. The fabric on the cushions is Sunbrella®, so you’ll be enjoying the fade-free, comfortable cushions for a very long time. The construction is strong and the teak wood is prominent, so you’ll be able to enjoy the piece and it’s good looks for many years. The permanent feel of the Raffles outdoor loveseat is one that shows the quality and robust attitude of the pieces without sacrificing movability or the ability to blend with so many other styles. Raffles pieces show a certain colonial style in their appearance that connotes a wonderful sense of security and dependability. 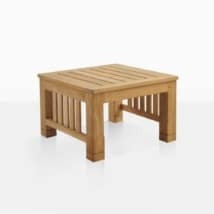 Truly, as an outdoor piece, few pieces can make the same type of statement with such an uncomplicated design. 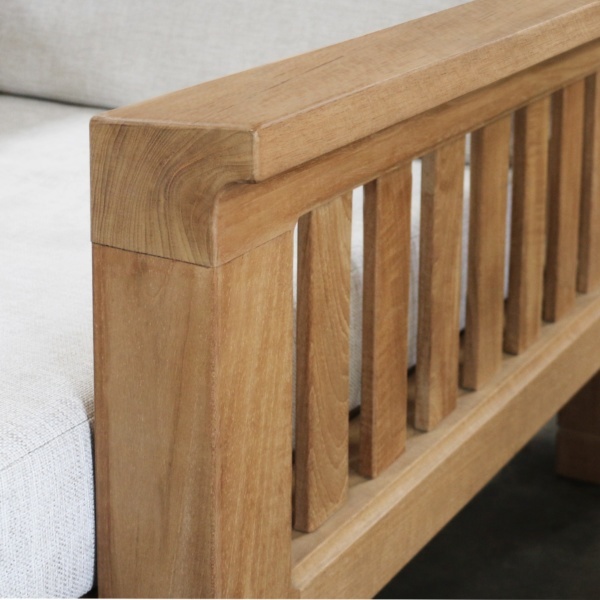 The Grade-A teak is the star of the show as the hard to source sizing on the wood proves the excellent longevity and rareness of such pieces. 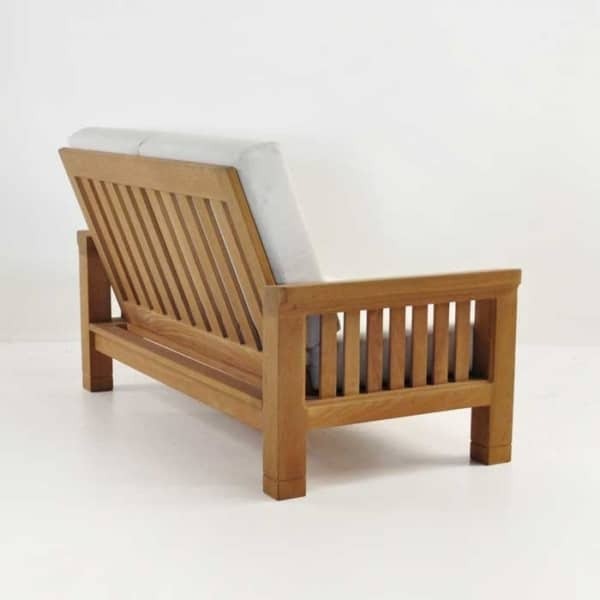 In terms of the traditional outdoor loveseat competing for your attention with the Raffles version, this piece is much more impressive in style and made with more wood. The plantation style of the Raffles Outdoor Collection allows this piece to work equally well in a Spanish style home with big Saltillo tiles on the patio as it does in a Colonial Revival garden. 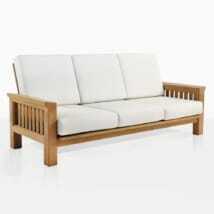 There is also a certain old world adventurous feel to the Raffles Teak Outdoor Loveseat. As though this style would be among the household goods brought along with a Spice trader en route to his new home in the West Indies. 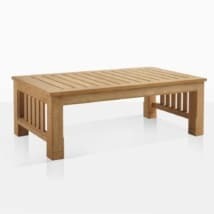 Sure, these ideas evoke a certain idea of what a piece is, but the beauty of the Raffles collection is that their versatility is created by their high quality and non-complex looks and their stunningly robust build quality.